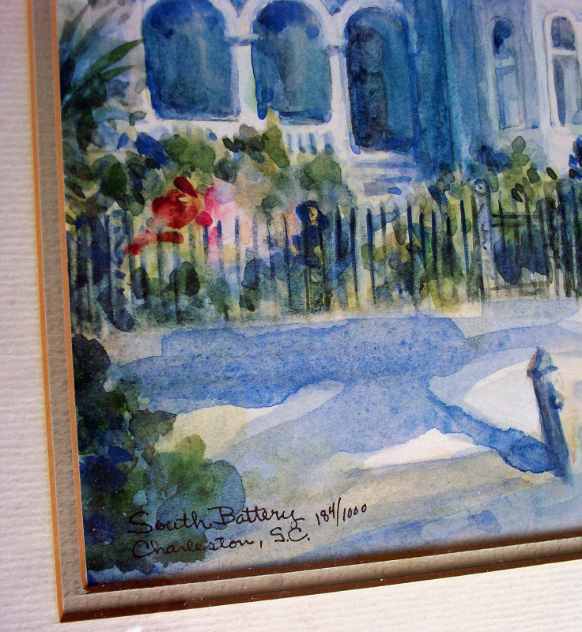 South Battery, Charleston, S.C. Limited Edition 184/1000 signed by Betty Schwark. SOLD 28.12.2014. 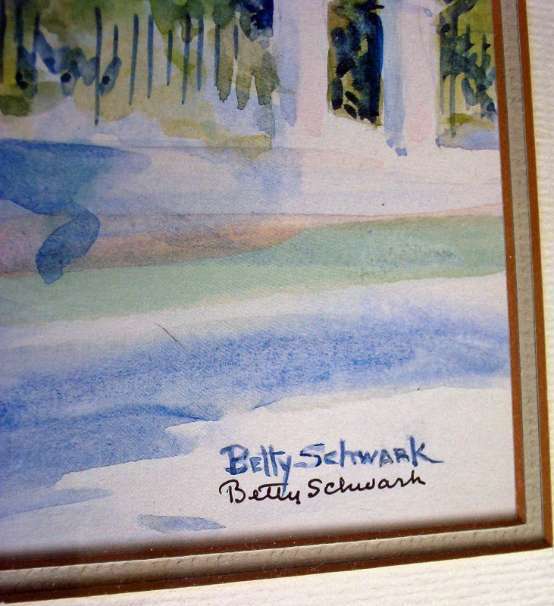 Limited Edition 184/1000 signed by artist Betty Schwark. Framed and glazed. Dimensions : Frame : 647mm x 518mm x 23mm. Weight : 2.200kg net. Condition : Good. 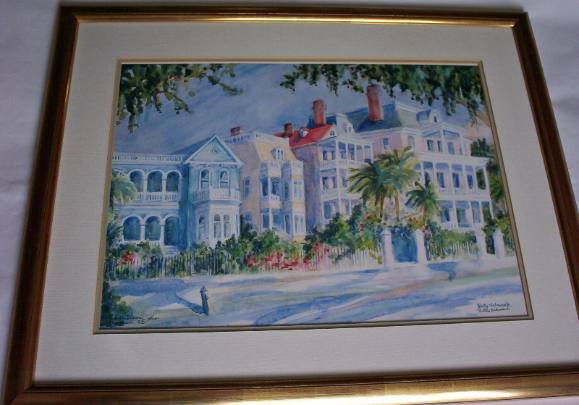 This impressive lithograph of the original watercolour painting of South Battery Charleston S.C., is paired with the other litho available at this time depicting the house where Washington stayed in Charleston. This picture is framed in the same material and style and is signed by the artist Betty Schwark although not dated. The vegetation is striking although there is predominance of blue in the bulk of the painting. The weight is 2.200kg net. 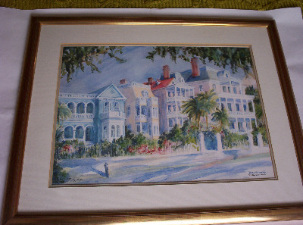 The same framer's label is attached and dated December 6th 1991 and described as 2 units with Fine Art Trade Guild emblem. Hanging wire attached. A professionally framed work.